Now that we’ve learned how to construct a Dorian scale in a way that should make practical sense, we need to understand when we can use it. To do this, we must be able to recognize chord progressions that lend themselves well to the Dorian scale. Harmonizing Dorian (making triads out of the notes present in a Dorian scale) illustrates when it can be used. In this case, it is still useful to think of Dorian as a minor mode—in other words, we should be able to pinpoint the difference between a chord progression in natural minor versus the Dorian mode, while still treating such a progression as a type of minor progression. Remember, it benefits us to think of Dorian as, lets say, “a slightly tampered-with” minor scale, as discussed in part 1 of this series. As you can see, when compared to the natural minor mode, only the triads containing an F# change in quality in the Dorian mode (quality=major, minor or diminished for now). Now we see two very important things: 1) what the available chords are in Dorian, and 2) the differences in chord quality between minor and Dorian; in other words, we should now understand when we can use the Dorian mode to improvise. Using this harmonization strategy will allow you to construct chord progressions that lend themselves well to Dorian, but there is one shortcut that saves lots of time and effort. This shortcut comes from the inherent difference in a Dorian scale compared to a minor scale: the 6th scale degree. As you can see from the harmonization explanation above, the “IV” chord in Dorian is Major instead of Minor. As a rule of thumb, when your root chord (tonic-or better yet, the most prominent chord in the progression) is minor and the chord whose root is on the 4th scale degree (your IV chord) is major, you can assume that the Dorian mode applies. 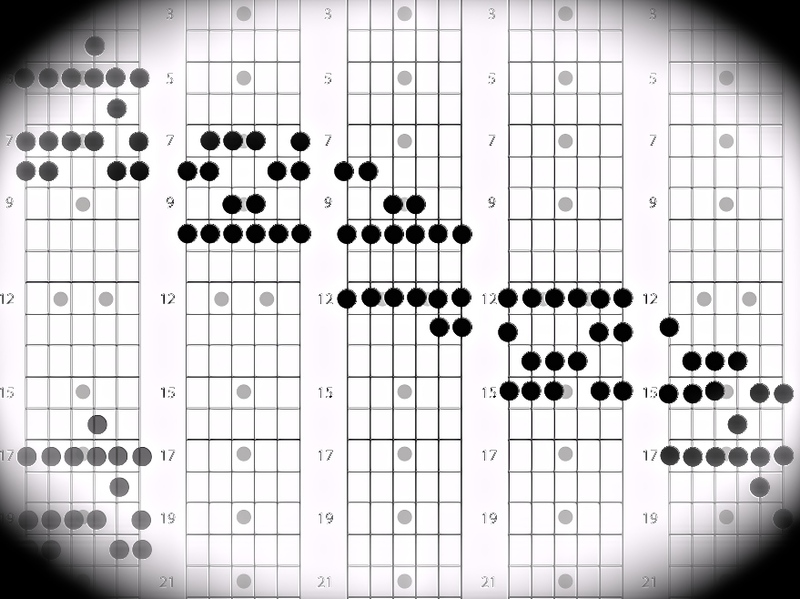 Remember, you can always play minor pentatonic scales over Dorian progressions, and adding a raised 6th into the mix, especially when soloing over a major IV chord, will give you a distinct “Dorian sound.” That’s all for now—stay tuned for similar explanations of some other widely used modes.